Diagnostic Laboratory of Oklahoma believes consumers should have the most accurate and up-to-date information needed to proactively manage their personal health. That's why DLO is proud to offer DLO Direct™, a new program that gives our customers the ability to order select lab tests without a healthcare provider. We can help you take a more active role in your health through direct access testing with a menu of select lab tests you may request without a healthcare provider’s order. 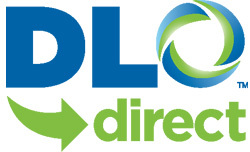 Visit dlodirect.com to view the available tests and learn how to take control of your personal health with simple, fast, accurate health testing.